If you've read my blog for the past year or so, you'll know I'm a huge fan of beauty boxes. 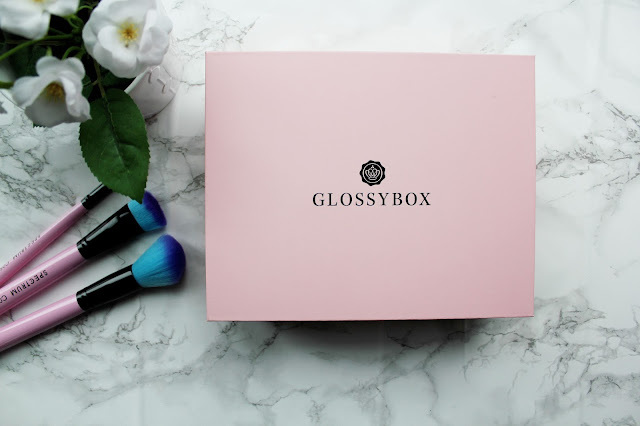 Glossybox is another beauty box I adore. 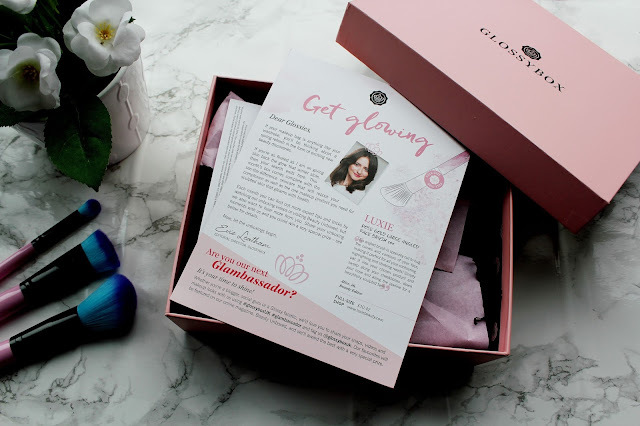 Glossybox each month is mainly high-street products and a range of full-size products and samples. This months box is called 'get glowing' and it's about pampering yourself and the products definitely don't disappoint. 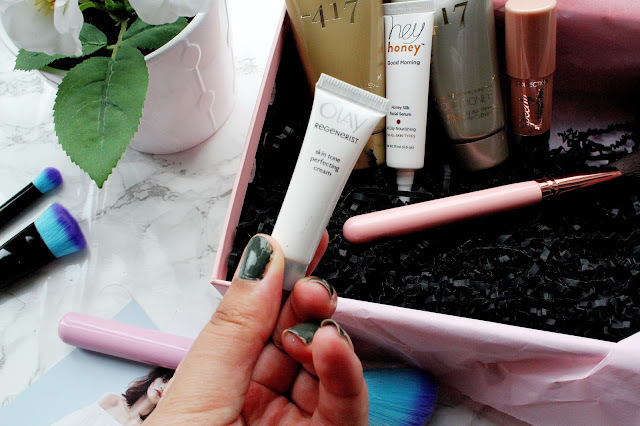 Overall, I'm not as impressed with this Glossybox as I was last month but there's a few products in this months box that I really like. I've been trialling out these products a little longer then normal and I've found myself reaching for the highlighter and the luxie brush. I've never heard of the brand Luxie before but I'm feeling that it's definitely a brand to watch. 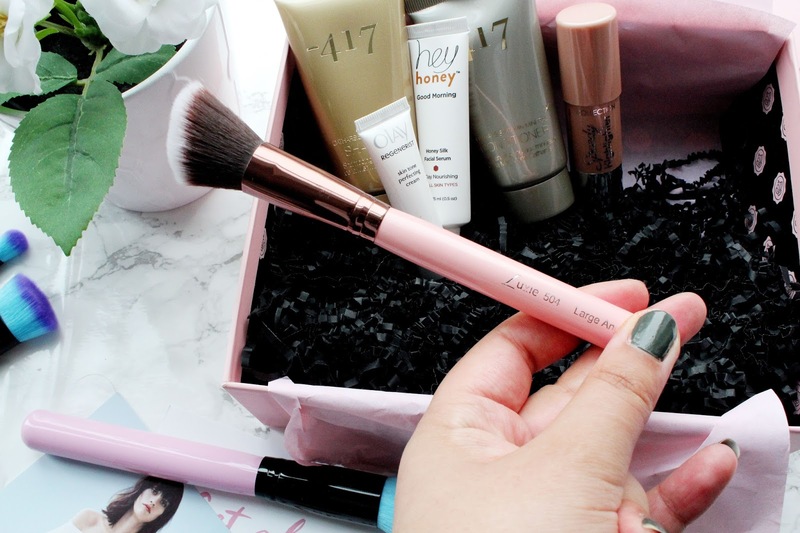 Who doesn't love a rose gold make-up brush?! It's dreamy! 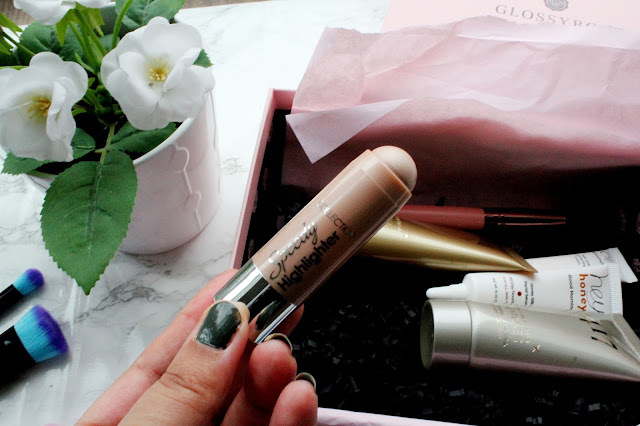 I've been using this to contour my cheekbones and it works really well when I'm going for a light make-up look as it doesn't pick up too much product. This was a product from this months box I wasn't so keen on. I think it's due to being really happy with my current skincare routine. 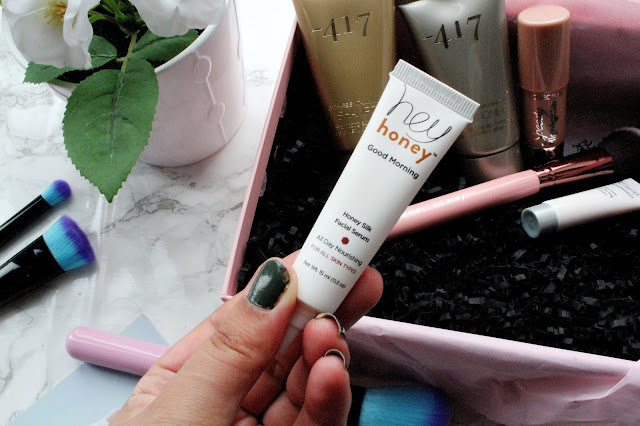 This product is infused with honey and propolis and the serum protects your skin and claims to leave you with a glowing complexion but after a few uses I noticed it made no difference to my skin. 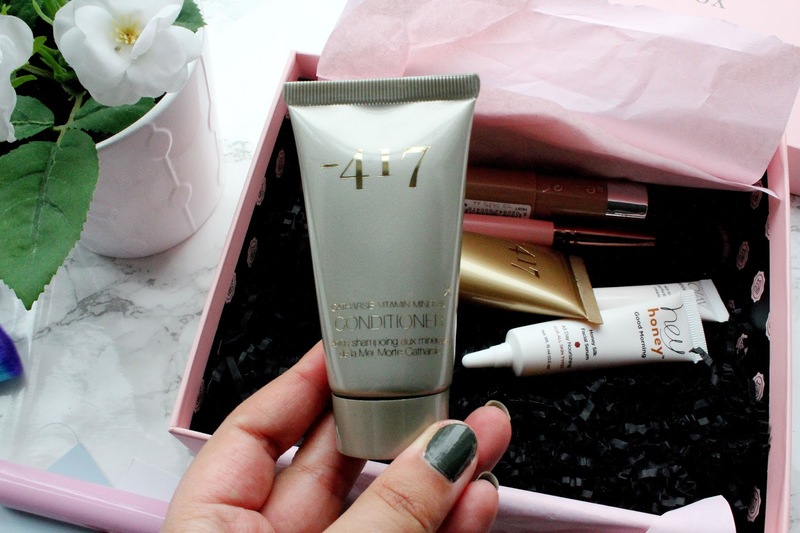 This cream promises to regenerate the skin's appearance and to help get that healthy-looking skin you've always dreamed of. This cream exfoliates your skin and smoothes and leaves you with a healthy glowing complexion. I've tried this a few times and I love the effect it gives on my skin. After receiving a variety of beauty boxes I've noticed they tend to include either a shampoo and conditioner and not both so I was delighted to see both in this months box. I've never heard of this brand before it claims to be a combination of dead sea moisture balancing minerals which leave your hair super hydrated and shiny. I haven't tried these out yet but they'll be in my hand baggage when I head off on my weekend away this weekend. 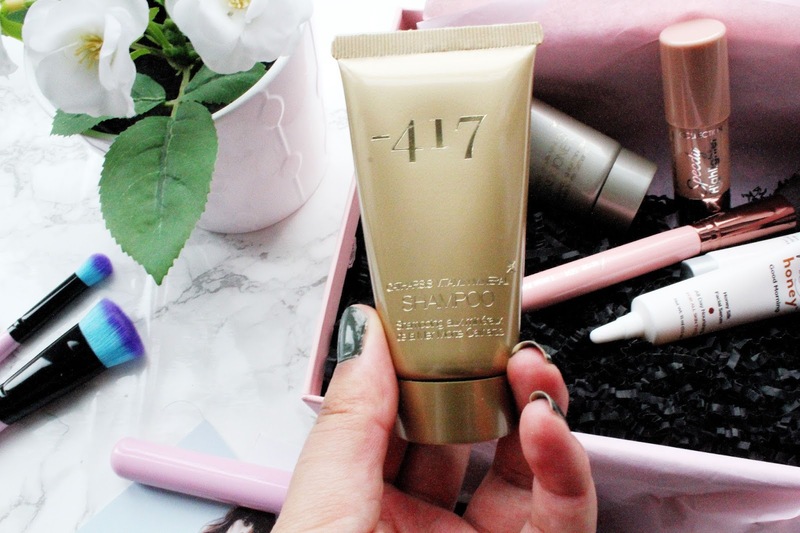 If you're always in a rush (or doing your make-up on the go) this product is for you. 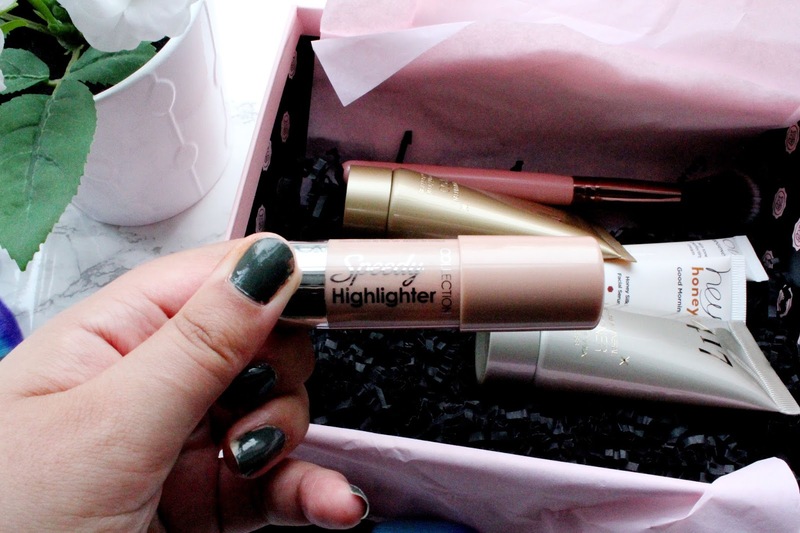 This speedy highlighter is quick and easy to apply. As you can see from the swatch this shade is a gorgeous rose gold shade and has a subtle shimmer. 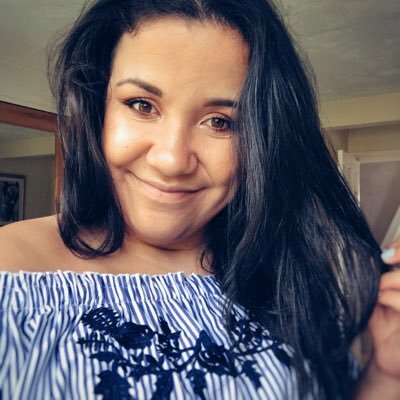 I think this is great for a day-time look and I apply this when I've just applied my foundation so a subtle but highlighted look. 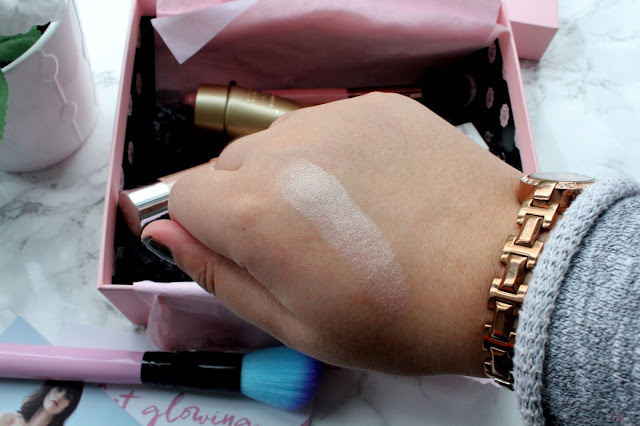 I think this is a great shade for all skin tones and it's a complete bargain at only £3.99. What do you think of this months Glossybox? Have you tried any of these products before?